Residents of Boston Looking for Hormone Therapy and Affordable High Quality HGH? 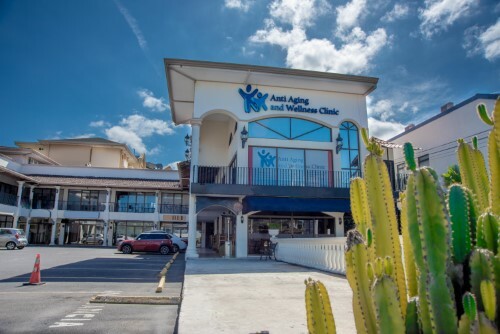 For residents of Boston and the surrounding areas who want access to affordable HGH, anti aging therapy and bio-identical hormone therapy, the Anti-Aging and Wellness Clinic in Costa Rica is offering what you are needing in harmony with your budget. At Anti-Aging and Wellness Clinic we provide high quality, customized, anti-aging therapy based on your individual goals to a third of Cenegenics cost. Local options are charging too much for therapies that do not overcome quality or expertise. If you are living in Boston you can find local clinics such as Cenegenics that provide HGH therapy, however, the average Cenegenics patient will spend a lot more of money for similar or lower quality healthcare than what you will receive at our clinic. Compare Cenegenics cost with Anti-Aging and Wellness Clinic and you will find that we provide higher quality care for less than 1/3 of the price. Similar clinics in the United States that offer anti-aging therapy may or may not include pharmaceutical grade human growth hormone. HGH must be administered subcutaneously in order to be functional and the only HGH with proven benefits is pharmaceutical grade HGH that needs to be prescribed by a certified practitioner. Oral HGH is useless and products called “secretagogues” that are supposed to increase HGH secretion, do not increase the hormone significantly. At Anti Aging & Wellness Clinic in Costa Rica you can be sure you are getting the highest quality of HGH so you can enjoy all the benefits from this hormone. What services can you get at Anti Aging & Wellness Clinic? Unlike US competitors such as Cenegenics, we provide personalized bio-identical hormone replacement therapy. The experts at Anti-Aging and Wellness Clinic prescribe FDA approved Human Growth Hormone (HGH). Our focus is to help you optimize your health and your sense of well-being. At Anti-Aging and Wellness Clinic in Costa Rica we make sure you have an enjoyable and stress-free experience. Imagine improving your health while visiting one of the top medical and touristic destinies, with minimal wait times and plenty time to discuss all of your concerns, all to an affordable price! Some of the main reasons why tourism is growing in Costa Rica are: price, customer service and excellent healthcare. Let the experts at the Anti-Aging and Wellness Clinic develop a personalized program for you. Contact us today and start feeling better tomorrow. Our therapies are safe, non-invasive, same-day procedure that takes only a few hours!